In case you needed to be reminded that I am only human, everyone makes mistakes and there is no way to predict everything with absolute certainty. 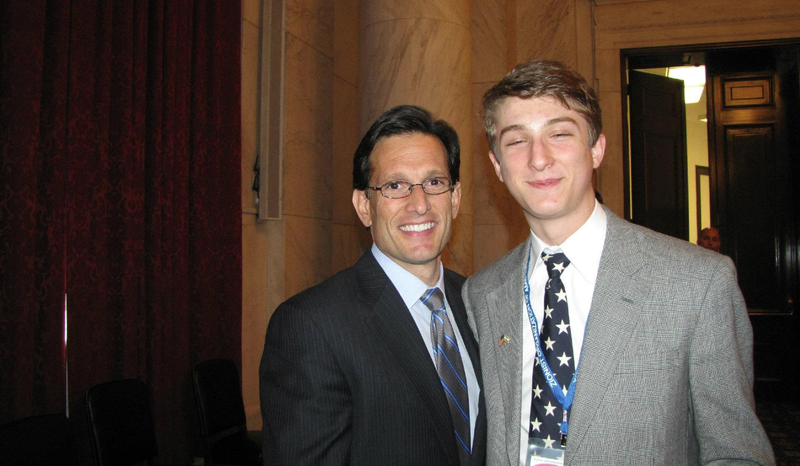 Just as Eric Cantor. This is it. After all the ads and incessant Facebook posts (not that I’m guilty of those…), Election 2014 is coming to a close. With that said, I think it would be worthy of looking at some of the better races out there, as well as saying what my thoughts are on what the breakdown of the Senate, House, and Governorships will look like. As one would expect, I’ve been pretty busy today, so I gave myself an hour to write this piece. This explains why there are no citations and why I didn’t go into as much depth as I would have liked. Everything here is purely from memory, so it’s possible there are some mistakes. If so, I take full responsibility. From the start, I had said that if Dan Sullivan can raise the money, he can topple Mead Treadwell (remember him? At one point he had been the GOP favorite). He has definitely succeeded in that, and now has a very good chance at defeating Mark Begich. Begich was running a very decent campaign, running ads about his dad (who, as a congressman, disappeared on a plane flight decades ago), but things changed when he ran an absurd ad slamming Sullivan for a case that Sullivan had never dealt with while he was Alaska’s Attorney General. When we look back on this race, this will probably be the turning point. I was a member of the camp that thought that Tom Cotton was going to win this from the start. Pryor hasn’t had a serious opponent in quite some time, and his remarks about how Cotton’s military service gave him a “sense of entitlement” to this seat showed that. Add into the mix Pryor’s awkwardness on grading Obama on things like Ebola, and Cotton’s steady improvement as a candidate and you have a recipe for a pickup. I’ve read that Pryor will probably be the first incumbent to go tonight, and that’s probably true. Despite their mailing ballots to voters this year, I see no way that Mark Udall is going to pull this off. When the local media started calling him “Senator Uterus,” this election was probably over. The turning point, however, was almost certainly when the Denver Post endorsed Cory Gardner. This is almost certainly going to be a pickup. Georgia: David Perdue has been getting a lot of flak for his comments from almost a decade ago about how he spent much of his career outsourcing. At the end of the day, I think that Michelle Nunn’s leaked campaign memo was probably more damaging. This race will probably go to a runoff, which Perdue is favored to win, but ultimately it will be a hold. Iowa: Bruce Braley is one of the worst candidates of the cycle. He hasn’t been able to catch a break from complaining about the member’s only gym being closed during the shutdown to his criticism of Chuck Grassley to his neighbor’s chickens. A factor that many forget is how Republican Governor Terry Branstad is demolishing his opposition on the top of the ticket here, and that only helps Joni Ernst. Ernst should win this seat. In fact, Braley is such a bad candidate that his Democratic House seat is now a serious contest. Kansas: Pat Roberts is in deep trouble. The fact that he all but stopped campaigning after he won his primary, only to restart his campaign after the Democratic nominee was dropped (read: forced) out of the election doesn’t help. However, Biden just said that Independent Greg Orman will caucus with Democrats if elected, so if this news made it to voters, it should be just enough to put Roberts over the edge. I give him a slight edge, only because he appears to have stopped the damage just in time. Kentucky: McConnell was going to win from the start. Sure, he’s not popular, but he only has to be more popular than Harry Reid, and that’s not too hard to be in a state like Kentucky. Keep in mind they do have a Democratic governor, but those races are fundamentally different from senate elections (also, their governor isn’t on the ticket this election). Louisiana: Mary Landrieu was always in trouble, but she’s won in difficult environments before. That said, her recent disparaging of her constituents isn’t going to help her, and the lack of support from Democratic groups like EMILY’s List that were once her biggest backers won’t be helping her with her base. That said, this race is going to a runoff because of their unique system, where there is no primary, and because no one is likely to net 50% tonight, she’ll be going to a runoff with Bill Cassidy. If he comes out on top tonight (even while getting fewer than 50%), it bodes even worse for her. This is going to be a GOP pickup. The question is when it will be over. Michigan: Terri Lynn Land was never anyone’s top choice for this race, and although she kept it close for a while, it’s gotten away, and Gary Peters is going to win this. Michigan has proved elusive for Republicans, and this will be no exception. Mississippi: this race is remarkable solely for the way in which Chris McDaniel has destroyed his potential to run statewide here…ever. Montana: Democrats nominated an anarchist after Senator John Walsh had to drop out because of plagiarism allegations. Enough said. North Carolina: the result here depends solely on how big a wave there is tonight (or if one exists). It is now one of the most expensive races ever. Kay Hagan has a slight edge, but because I’m optimistic I’ll give it to Thom Tillis. This race would have been fundamentally different if he had resigned as Speaker of the state legislature, but it’s too late for that now. New Hampshire: when Scott Brown jumped into this race, it was hard to believe he’d make it this close. Now, he seems to be peaking at just the right moment and I’m going to give him the win (again, I’m optimistic). New Jersey: if Cory Booker doesn’t demolish, it will be interesting to look at this as a race we should have had on our radar. Polls have showed a close race, but I don’t expect him to lose. New Mexico: Allen Weh appears to be peaking at just the right time to beat Tom Udall, but I think it is too little, too late. If Udall doesn’t win, Democrats had an awful night. South Dakota: despite a quick scare, Mike Rounds is going to win here. Virginia: if Mark Warner loses, tonight was a wave election. West Virginia: one of the easiest GOP pickups of the night. My extremely optimistic prediction is that the GOP will have 55 seats when this is all over. Alaska: Republican Sean Parnell appears to be in some serious trouble after the Democratic and Independent tickets had a form of merger. I give the challengers the slight edge. Arkansas: a while ago, there was some talk that this would be a contest, but this is an easy GOP pickup. Colorado: Governor John Hickenlooper will have no one to blame but himself when he loses. I thought Bob Beauprez was a terrible choice for the GOP at first given how he had previously been crushed in a landslide, but I give him the edge to win, especially given Gardner’s success in the senate race. Connecticut: in a rematch of the 2010 race, Governor Malloy is up against Tom Foley. Malloy is going to lose. Florida: this is an interesting race. As much as Charlie Crist annoys me, I consider him the favorite to win today. Georgia: this race leans runoff. Originally, Governor Deal was thought to be a weaker candidate than Dave Perdue, but now the tables have turned. The fact that Deal is running against Jimmy Carter’s grandson makes this an interesting race that will go to a runoff the GOP will win. Hawaii: if Governor Neil Abercrombie had won his primary, this would be an easy GOP pickup, but after Abercrombie lost, I see it as a Democratic hold. Keep an eye on the Independent candidate. If he takes enough of David Ige’s vote, Republican Duke Aiona has a real shot. Illinois: I think Pat Quinn is the worst governor in America, and am confident that he will lose tonight (I give Bruce Rauner a 60% chance at winning). Kansas: regardless of the merits of the arguments about Governor Sam Brownback’s tax cuts, the fact is is that they are deeply unpopular, and his purge of moderate Republicans in the legislature created some real hostility. I don’t think he has a way to win here. I’ll give this to the Democrats (remember, Kathleen Sebelius was governor here not too long ago). Massachusetts: Martha Coakley is the gift that keeps on giving to Republicans. She lost to Scott Brown, and now she’s going to lose again. GOP pickup. Maine: until Independent Eliot Cutler half dropped out (he is staying in, but said his supporters can vote for whomever), Republican Paul LePage was probably going to win, but now I think Democrat Mike Michaud is going to win. Michigan: Rick Snyder needs to be reelected for the future of the state. As long as Gary Peters doesn’t totally demolish in the senate race, this will probably happen. Pennsylvania: Tom Corbett is toast. Texas: I have loved watching Wendy Davis’s flailing campaign. Wisconsin: Scott Walker is a slight favorite. Maryland (notice I saved this for last): we’ve been getting a ton of attention lately. Regardless of the outcome, there’s no way for Anthony Brown to win. This is a state where Democrats outnumber Republicans by a 2-1 margin. Even if he wins, it’ll be by a few points. That said, all the momentum is on Larry Hogan’s side, and I give it to Hogan. Sure, this is really idealistic, but we need Hogan to win because the path we’re on is the definition of unsustainable. If you add it all up, you get Republicans netting 2, and Independents netting 1. This would take forever. I will say I predict Republicans have a total of 243 seats at the end of the night, which is just short of the largest majority ever, but quite a good showing nevertheless.